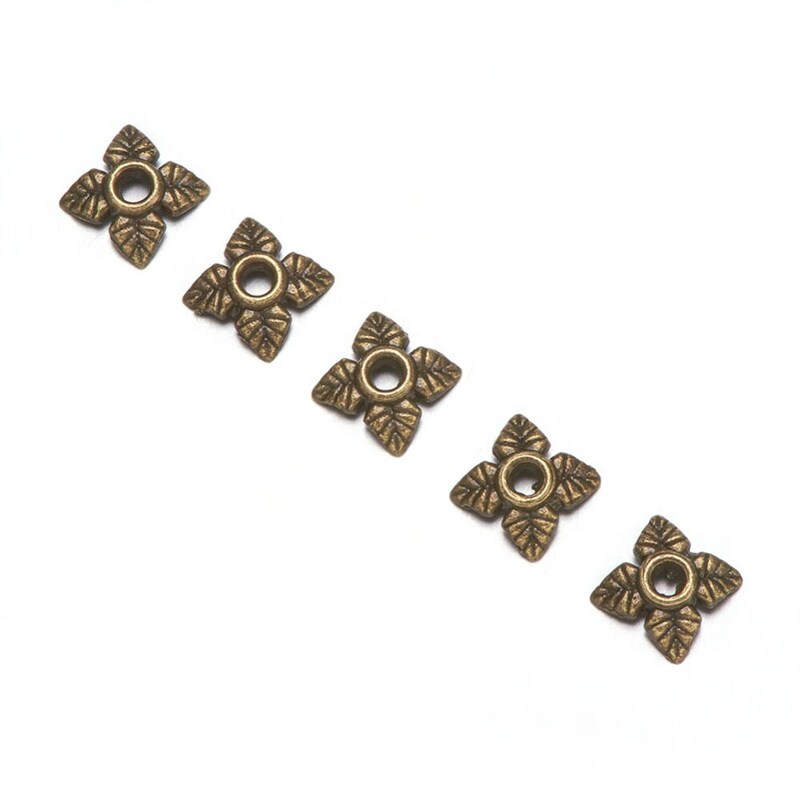 50 antique bronze tone 4 petal leafy floral bead caps measuring 6mm x 6mm. 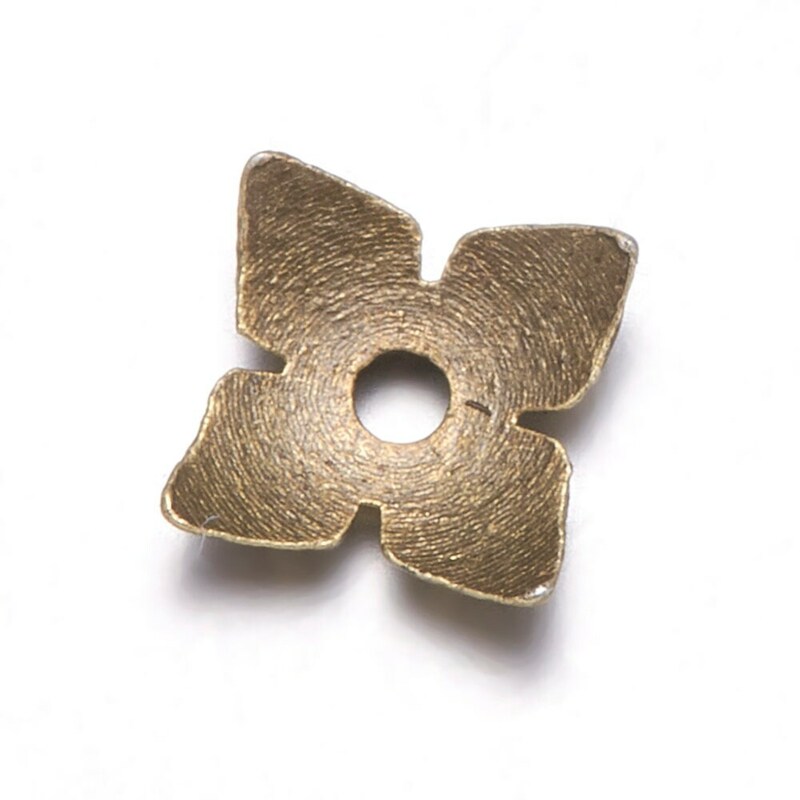 Fits 5mm to 7mm beads; hole size about 1mm. 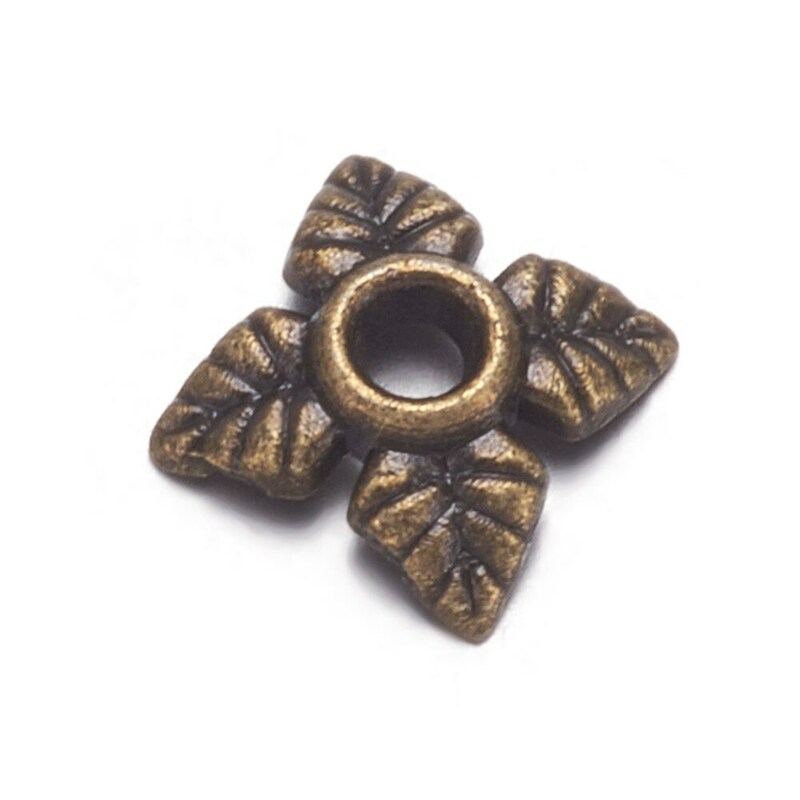 Antique bronze tone over zinc alloy (lead, nickel and cadmium free). 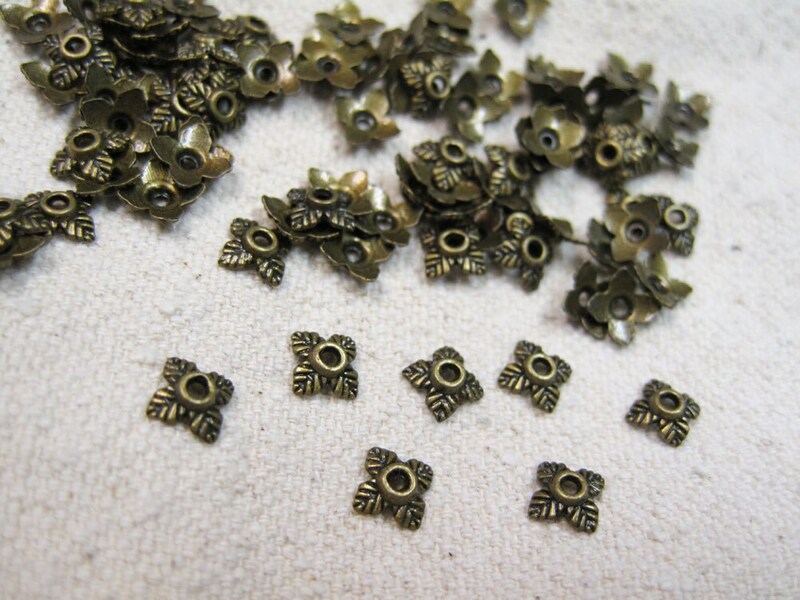 Great little spacers, you'll want to use a bunch of them! One of my favorite findings to use for jewelry making. Also available in antique silver. Love the bead caps. Very fast shipping. Thanks for the free gift.